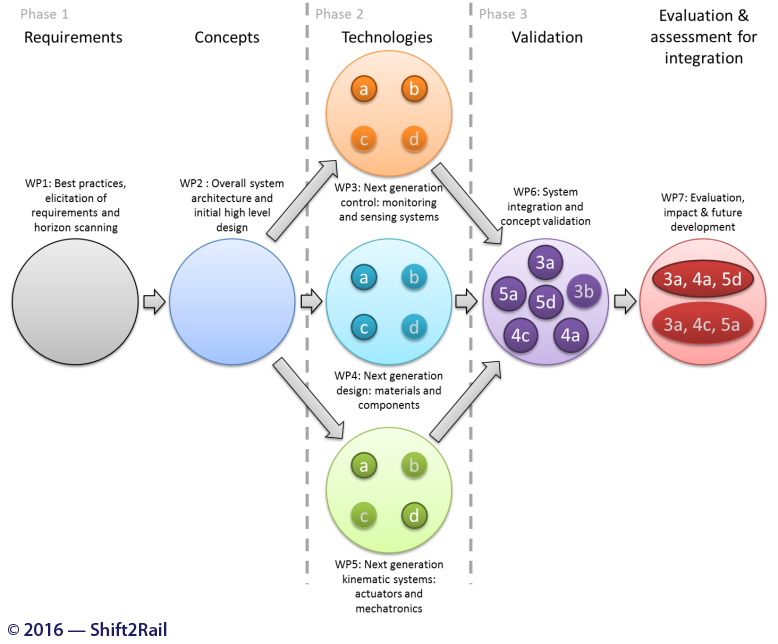 The S-CODE project will build on existing European and national research projects (in particular, the lighthouse project In2Rail, Capacity4Rail and Innotrack) to identify radically different technology concepts that can be integrated together to achieve significantly improved performance for S&C based around new operating concepts (e.g. super-fast switching, self-healing switch). Phase 3: Validation and evaluation – testing (to TRL4) the design concepts and formally evaluating their performance in order that an integrated design can be presented for further development.